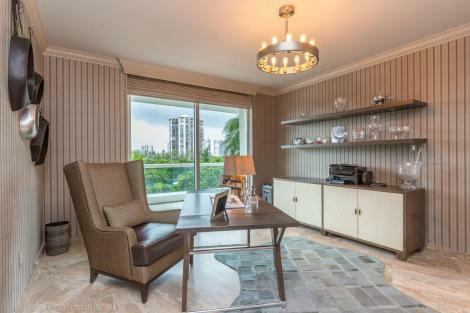 This condo, located at 6000 Island Boulevard, Unit 501 in Aventura, Florida, is a must see for those needing magnificent water and charming garden views. Represented by Shane Franko of Sellstate Partners Realty, this home is a remarkable unit at the Bella Mare. Sensational, spacious, ultra chic—what more can we say? With a unique floor plan designed by the esteemed Matt McDonald, this is the kind of condo that’s in high demand. Walking into the home you’ll notice only the finest unpolished Italian marble, newly designed kitchen, light colored wood European cabinets, Gaggeneau and Sub Zero appliances, special lighting throughout, electric window treatments, designer fabrics, wall coverings, and more. To learn more about 6000 Island Boulevard and Shane Franko, please visit: 6000-islandunit501.com.